Yakaubu* and his 19-year-old wife were expecting, again. Contraception gives Yakaubu peace of mind knowing he and his wife can plan for the family—and future they desire. *Face blurred and name changed to protect privacy. Neither, however, had the financial means to raise another child. Ending the pregnancy, they’d decided, was the right way forward. But in a conservative culture engrained with societal restrictions, couples confront pervading blocks in attaining sexual and reproductive health (SRH) services. Pregnancies are viewed as gifts from God. And doctors like the ones Yakaubu and his wife visited too often refuse to perform an abortion. Yakaubu heard of family planning growing up . Yet knowledge alone hadn’t provided him, nor his village peers, a pathway to access. Herein lies the space that A360’s Matasa Matan Arewa (MMA) is molding a new normal: bringing SRH services and information closer to Northern Nigeria’s most vulnerable adolescent girls and their husbands. 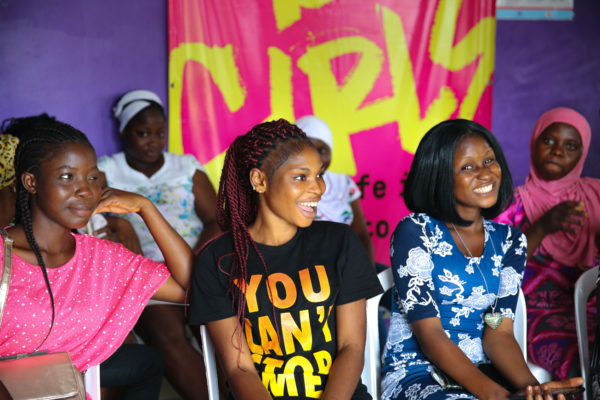 Since the spinoff’s launch in January 2018—the first replication of the A360 blueprint—MMA has served some 1,600 girls with modern contraception. Approximately four in five girls opt for an injectable or implant. *Face blurred and name changed to protect privacy.